Mumbai: India’s stock market regulator, Securities and Exchange Board of India (Sebi), may settle the charges of insider trading against Reliance Industries Ltd (RIL) through the so-called consent process, asking the company to pay as much as Rs2,052 crore, according to two persons with direct knowledge of the matter. The actual amount is likely to be much lower because consent processes usually involve quite a bit of going back and forth as the regulator and the regulated dicker over the amount. A consent mechanism refers to a settlement of a case dealing with alleged infractions in securities laws without the individual or company involved either admitting or denying guilt. The second person independently confirmed these facts. The settlement fee, if endorsed by the regulator and accepted by the company, will be the highest amount ever paid by a single entity to settle a case. 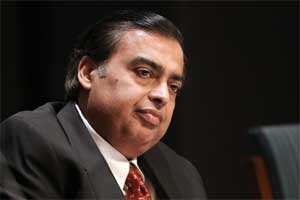 In January, Reliance Group, controlled by Anil Ambani, the younger brother of Mukesh Ambani, who runs RIL, paid Rs50 crore to settle a case against some of the group entities through consent. Sebi’s spokesperson said “it is too premature and speculative" to comment on the consent process. RIL declined comment for the story. “It can be settled for a lower fee if the company can prove that the amount of ill-gotten gains is far less. As of now, the Sebi investigation has pegged the amount at Rs513 crore," a third person familiar with the development added. According to the Sebi Act, an entity found guilty of insider trading is liable to a penalty of Rs25 crore or three times the amount of profits made out of insider trading, whichever is higher. The higher end of the amount in this case is based on these rules. The third person mentioned above said the consent process involves a “lot of posturing", with the regulator always wanting to settle at a higher amount and the companies involved wanting to pay as little as possible. “Both try to find the middle ground, and keeping that in mind, it is highly unlikely that RIL will pay Rs2,052 crore to settle. The entire process could be rather long," he said, asking not to be identified. Pradnya Saravade, former executive director of Sebi, who investigated the matter, submitted the report in 2009 that said RIL was involved in insider trading in 2007 while selling shares in erstwhile Reliance Petroleum Ltd, or RPL, which was later merged with RIL in 2009. In 2007, RIL had sold 4.1% of its stake in RPL, but to prevent a slump in RPL stock, the shares were sold first in the futures market and later in the spot market, covering the share sales in the futures market. Sebi’s claim is that because the company was aware of the sale of equity shares and sold futures ahead of that, its actions amount to insider trading. Through the dealings, RIL received revenue of Rs4,023 crore and its profit from the transaction in the futures segment was Rs513 crore. “The investigation report has been submitted after the violations were established. A penalty of up to three times the profits made could be levied on the company. However, the actual consent amount will be decided by the consent committee," the second person familiar with the development said. Sebi launched investigations into the matter in 2008 and later initiated quasi-judicial proceedings in 2010. Depending on the seriousness of any violation of norms, the consent process is based on paragraph 7 of a 20 April 2007 Sebi circular. According to that, a consent order may be passed at any stage after probable cause of violation has been found. “However, in the event of a serious and intentional violation, the process should not be completed till the fact-finding process is completed...by way of investigation. Compounding of offence can take place after filing criminal complaint by Sebi. Where a criminal complaint has not yet been filed but is envisaged, the process for consent orders will be followed," the note adds. A company can approach the regulator for a consent only when the final recommendations are made by the investigation officer (Saravade in this case). RIL has approached Sebi twice to settle the case, offering to pay Rs2 crore in the first instance and Rs10 crore in the second instance. When a company applies for consent, it is referred to the internal committee (comprising chief general managers) first, from where the matter moves on to the high-powered advisory committee (comprising retired high court judges), and then to a two-member panel of whole-time members. If the terms of the consent are changed at any level, a detailed explanation needs to be furnished, which essentially means taking a fresh look at the investigations and recommendations of the investigation officer. Typically, such cases are not sent to the Sebi chairman, though the recommendations and the consent terms could be examined by him. Incidentally, Sebi is taking a close look at the entire consent process to make it “fair, uniform, predictable and logical" that can be legally defended. The new consent normsare expected to be in place in the next six months, the third person mentioned earlier said.